The district council has approved the adoption of the new planning measures for the Woodhall Spa conservation area. The matter was discussed at a full council meeting last night (Wednesday, October 10). 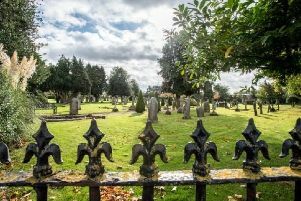 The planning measures are being introduced after Woodhall Spa Parish Council approached ELDC with concerns about the impact of changes being made in the conservation area under permitted development. • Article 4 Directions to remove permitted development rights for works which aren’t in keeping with the preservation or enhancement of the conservation area. This means such works in the future would require planning permission, allowing neighbours, the Parish Council and others to make comments on the proposed works. • A Local Development Order (LDO) to give back permitted development rights for works that are sympathetic to the character of the conservation area; meaning proposed works, that meet the development specification set out in the LDO, would no longer need planning permission. A period of consultation was undertaken earlier this year and following its conclusion, it was agreed at the full council meeting last night (October 10) that the Article 4 directions and the LDO should be adopted. Portfolio Holder for Planning, Councillor Tom Ashton, said: “This is a landmark decision as we believe, East Lindsey District Council have become the first council to introduce a LDO alongside Article 4 Directions. Chairman of Woodhall Spa Parish Council, Councillor David Clarke has welcomed the decision. Coun Clarke said: “Woodhall Spa Parish Council supports the adoption of an Article 4 Direction and accompanying Local Development Order (LDO) for nominated residential homes in the Conservation Area (CA). “We believe that this is first instance of an Article 4 Direction coupled with an LDO. “The purpose of the Article 4 Direction is to bring under planning control development that was previously allowed under general development rights and is assessed to erode or even eliminate key characteristics of the CA. “The intent is to not to “freeze time” or preserve at any cost. “Woodhall Spa is a vibrant and developing community and the CA is a significant feature of the village. “The CA must also be allowed to develop in a managed and controlled manner. “However, the CA deserves protection from frequent and harmful changes which over time will erode, and have eroded, the distinctive appearance and character of the area. Neither order can be applied retrospectively. “We support the LDO in “giving back” some rights directly connected to restoring these lost features.